The Standing Party Central Committee (12th term) signed Resolution 28-NQ/TW dated May 23, 2018, on social insurance policy reform, with many new ground-breaking contents. The reform aims to make social insurance a real pillar of the social security system and gradually expand the coverage of social insurance for all people. From now to 2021, about 35 per cent of people at working age hold social insurance policies, of which peasants and labourers in informal sectors buying voluntary social insurance will account for about one per cent of the labour force. About 28 per cent of people at working age have unemployment insurance and some 45 per cent of people at retirement age have retiree benefits, monthly social insurance and social pensions. All transactions are made electronically. Online public services for insurance will be implemented at Level 4. The time needed to settle transactions by social insurance agencies and companies will be reduced to ASEAN 4. The satisfaction index of social insurance policyholders will be 80 per cent. To 2025, about 45 per cent of people at working age hold social insurance policies, of which peasants and labourers in informal sectors buying voluntary social insurance will account for about 2.5 per cent of the labour force. About 35 per cent of people at working age will have unemployment insurance and some 55 per cent of people at retirement age will have retiree benefits. To carry out social pensions, the State Budget provides a pension for the elderly without a pension or monthly social insurance. It adopts policies to mobilise additional social resources to give higher benefits to them and lowers ages eligible for social pension allowances based on the State Budget's capabilities. The application of compulsory social insurance (e.g. pension, death, workplace accident, occupational disease, sickness, maternity and unemployment) is based on contributions of employees and employers. Voluntary social insurance (e.g. pension, death and other forms in the future) is based on contributions of workers without employment bonds, on appropriate support from the State Budget for farmers, the poor, low income people and workers in informal sectors to expand the social insurance coverage. It is necessary to raise workers’ awareness and responsibility of protecting themselves and expand the coverage of social insurance based on the retirement-age change roadmap for each period. The next step is supplemental pension insurance. This is a voluntary, market-based pension scheme that provides employers and employees with the option of contributing more to have higher benefits. The resolution requires adjustments to retirement pension conditions towards reducing requirement years of social insurance purchase from 20 years to 15 years and then 10 years to enjoy retirement pensions. Pension rates will be calculated reasonably to help elderly workers with short social insurance contribution to access and benefit from social insurance benefits. From 2021, the retirement age will be changed to narrow the gender gap in retirement age regulations. As for special occupations, employees are entitled to early or late retirement by five years from the general retirement age. In addition, the resolution imposes revisions of regulations on social insurance payment based in the business sector which equals at least 70 per cent of total salary and other salary-related incomes of workers to deal with unpaid or short payment of social insurance which affects the Social Insurance Fund and interests of workers. 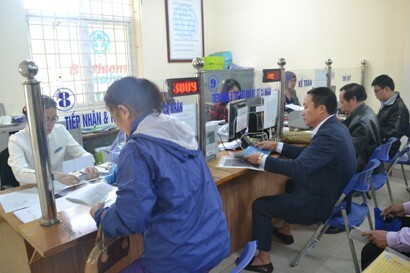 In addition to reviewing and amending regulations on compulsory social insurance for Vietnamese guest workers in foreign countries and foreign emigrant workers in Vietnam, the resolution requires amendments and supplements to policies on unemployment insurance and employment towards supporting employers and employees to maintain jobs, ensure their legitimate interests, and tackle insurance fraud. There is also a need to clearly define regulations and mechanisms to strictly manage social insurance investment funds and ensure the safety, sustainability and effectiveness of social insurance investment funds. Besides, the resolution requests completing sanctions on violations of social insurance laws, especially for acts of evading, indebting and profiteering social insurance. Social insurance authorities and social insurance fund management agencies have the power to sanction enterprises evading, indebting, defrauding and profiteering social insurance. Moreover, employers and employees have the right to complain or to sue social insurance authorities and social insurance fund management agencies for violations of social insurance policies.